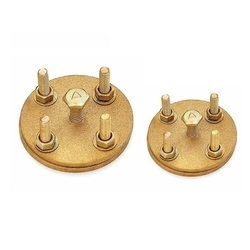 We are leading Manufacturer of Brass Earthing Accessories and our product is made up of good quality. 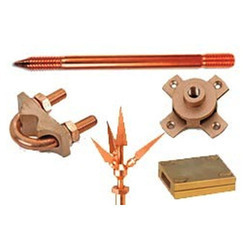 The range of earth bars which we present consists of high graded brass materials with nickel plating. These are further nickel plated which make them highly anti-corrosive, efficient and robust. These are also customized as per the drawings and sample designs given by the clients. We are offering Solar Panel Earthing Jumper to our clients. We are offering Earth Bonding Point to our client.